Many decisions which have had enormous historical consequences have been made over the dinner table, and have been accompanied (and perhaps in influenced) by copious amounts of food and wine. 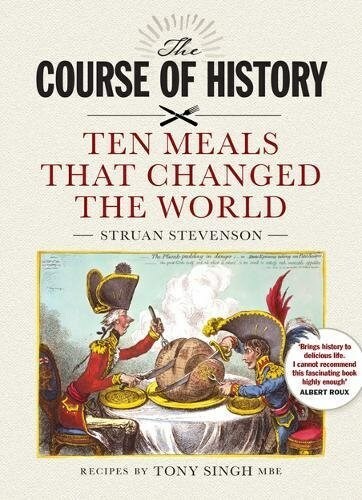 In this book Struan Stevenson brings to life ten such moments, exploring the personalities, the issues and of course the food which helped shape the course of history. From the claret consumed on the eve of the Battle of Culloden, through the dinners which decided the fates of George Washington, Archduke Ferdinand and Adolf Hitler, to the diplomatic feasts that decided future relations with Russia, China and the Middle East, each chapter covers every detail, character, decision and morsel which decided the course of history.